As you may know, Optuma watchlists allow you to add custom columns containing tool or indicator values (eg daily/weekly RSI, percent from a moving average or 52 week high) or true/false results based on any condition (is the close above the 34 exponential moving average, or is the Gann Swing trending up?). 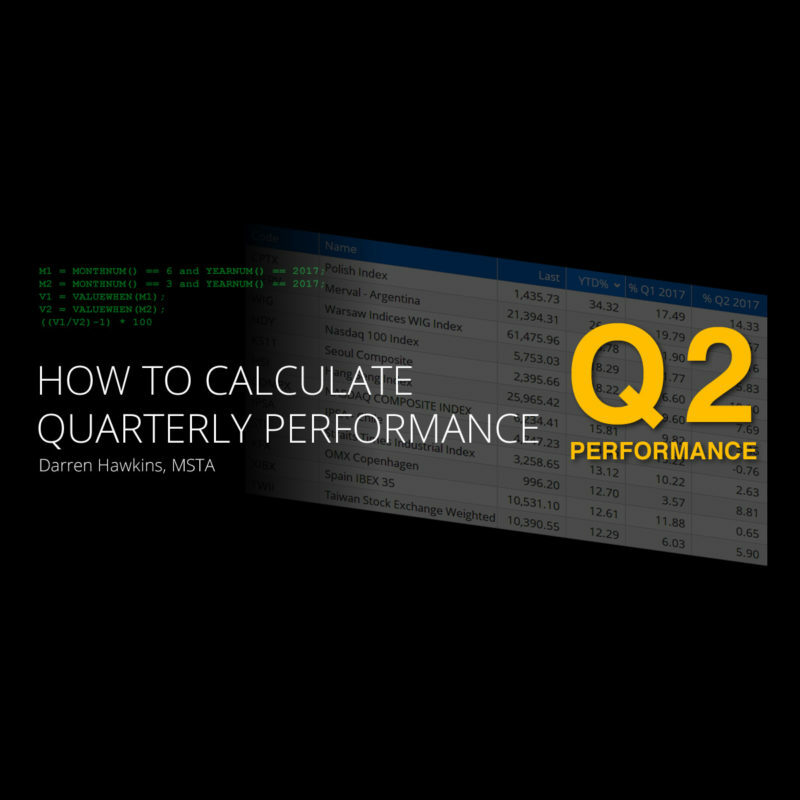 You can also create performance statistics based on time frames (eg over the last month, year-to-date), but we can also create quarterly statistics. VALUEWHEN() – gives the required value (the close by default) when a certain condition has been met. Note: a single ‘=’ sign is used to assign a variable so when looking for equality we need to use the double ‘==’ sign. Note that to display the columns in percentage format do not multiply by 100, and then you can right-click on the column heading and change the Column Type to Percentage. To change the watchlist colours to geen for positive and red for negative right-click on the column heading and select Custom Labels, and select green > 0 and red > 0 (delete the Label text as it’s not required in this example). 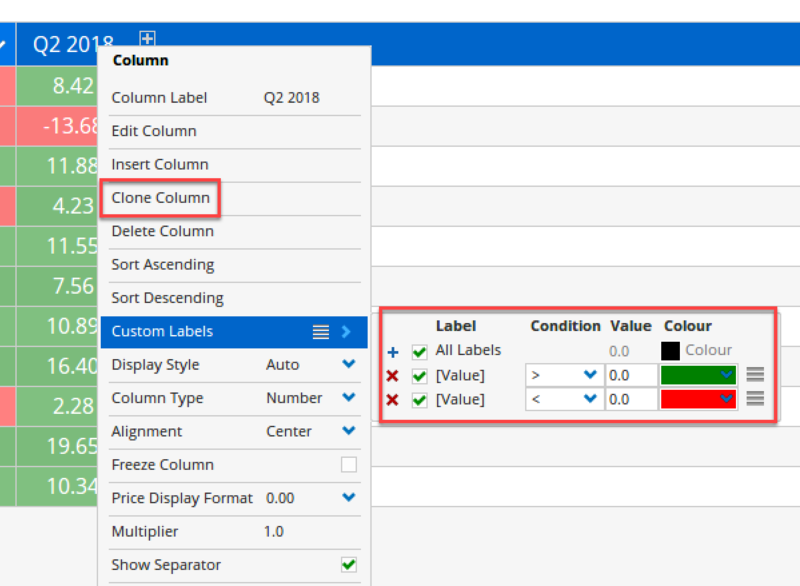 Once changed, click on Clone Column to duplicate the column and then Edit Column to open the Script Editor window and change the formula as requested. Optuma clients can click the button below to save a workbook with examples for Australian and US sectors, but if you would like to apply these columns to other watchlists click the No Layout label in the header and give it a name and then apply the layout to another list, or save the entire Page Layout. Of course, other columns can be added to your watchlists as required (for example you may want to show the last rolling month CHANGE(INT_TYPE=Month)), so if you have any questions or comments please let us know, or visit our scripting forum for help and ideas.